For this Chinese New Year, we all want that item that gives us all the good fortune and positive vibes, and we feel extra lucky upon receiving it, be it a miniature water fountain that is known to let good luck flow continuously in our abode, a precious piece of jewelry made of jade, or any of the numerous lucky charms in Chinese Feng Shui. But does a piece of lucky charm really give us wealth, success and especially good health? In times of crisis, common sense should rule the season of new beginnings. To give and receive an item that is convenient, useful and practical is ultimately the best for the coming year. 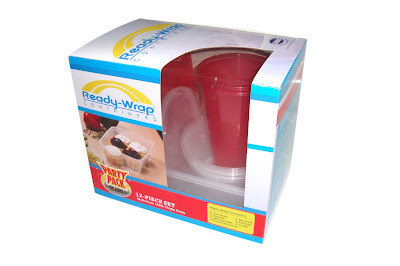 Take the case of the Ready-Wrap Party Pack from Uratex. The Uratex Ready-Wrap Party Pack is a 12-piece set composed of drinking cups, plus rectangular and round plastic containers that are ideal for people on the go who are in need of affordable and smart storage solutions to protect, store, freeze and organize food and small items. The colorful containers are mirowavable and can go directly from the freezer to the microwave without distortion or cracking. Compact and stackable, the Ready-Wrap Party Pack from Uratex is the perfect gift for the hygiene-conscious or those who want space efficiency in the house. From nourishment needs, we go to the comforts of the bedroom. Everyone desires a good night’s sleep, which is helpful to everybody because it helps us recharge our tired bodies after a hard day’s work. And this is where the Uratex Premium Mattress line comes in, with products like Premium Touch Cozy Latex, Premium Touch Viscoluxe Memory, and Purifoam. But there are other Uratex premium mattresses that can be a perfect Chinese New Year gift like the Therapoint® Mattress, with its superior grade, high-resilient foam for a perfect balance of comfort and support so that you can enjoy deep, sound sleep every night. The Coolmax® Technology Mattress cover comes with a high-performance fabric which dries fast compared to other mattresses, balances body moisture, while tiredness caused by perspiration is minimized to maximize sleep quality. For those who value designer-made products, try Trapunto by Rajo Laurel. Meaning “to embroider” in Italian, Trapunto is a classic European quilting style known for its “delicate elegance and exquisite beauty.” Exclusively designed by acclaimed fashion designer Rajo Laurel, this specialty mattress offers a new level of luxury, support and comfort. If you have aspirations of sleeping, celebrity-style, try the K Everyday® Deluxe Mattress that delivers the perfect combination of healthy support, protection, comfort and durability. With its beautiful design, K Everyday® Deluxe Mattress is a fabulous addition to any feminine bedroom. It is the right bedding choice for the kikay in you, just like its inspiration, the incomparable Kris Aquino. To eliminate aches and pains while sleeping, a good suggestion is the Uratex Senso Memory Mattress to let you sleep, feel and live better. Made of pressure-relieving visco-elastic foam, it is designed to sense your body’s weight and temperature and gently molds or conforms to your body’s shape and contours to ease pressure points and other aches and discomforts usually related to incorrect sleeping positions. 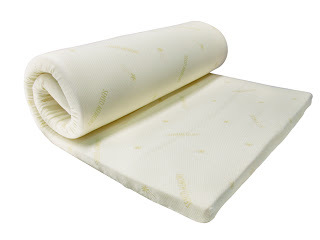 The Uratex Senso Memory Mattress fabric cover is also treated with Sanitized® for safe and effective protection against bacteria, fungi, dust mites, mold, mildew and unpleasant odors. If you are the one who misses the feel of the trusty and uniquely Pinoy woven mat, there is the Uratex Mattress with Banig, which carries a five-year warranty. One side is quilted for a plush look while the other side has the banig. Users have the option to use the fabric side when it is cool or the banigside when it is warm as it is proven to be cool and smooth. It is made from durable woven plastic material. After the mattresses, it’s time to select the most fitting mattress toppers. The Bio Aire Mattress Topper has the ideal surface softness for good support and reducing pressure points. The Hypersoft Mattress Enhancer, meanwhile, upgrades your mattress at a fraction of the cost. Whether you want to add extra softness to your new bed or an extra layer of comfort to your present bed, or extra softness to a firmer mattress, the Hypersoft Mattress Enhancer will provide a superior sleeping surface. Another charming choice is the Senso Memory Mattress Topper, constructed using visco-elastic foam so the topper can mold to your body’s shape, relieving you from pressure while lying down, and is also more breathable with its cotton layer. So now comes the perfect pillows. The FiberSoft Pillow is made from combined hollow conjugated siliconized polyester fiber and hypersoft foam to provide dual comfort, for persons who prefer irresistibly soft and fluffy pillows. The Latex pillow, on the other hand, is naturally crafted from the milk of the tropical rubber tree, Talalay, to provide the perfect balance of comfort and support. The Therapoint Pillow conforms to the shape of your head and provides continuous support throughout the night. They never require fluffing as they maintain their shape and support for years, and is a dream pillow for allergy sufferers or anyone looking for a health-conscious long-lasting pillow as they are hypo-allergenic, non-bacterial, mildew-resistant, and flame-retardant. Or, pick the Permasoft pillow, designed for those who dislike extra softness. This medium-firm comfort-support pillow contains polyurethane foam core that provides extra support versus a regular pillow. It is hypo-allergenic and lightweight. The kids must be all right, of course! The Kiddie Futon, also made with Uratex Foam, is great for sleepovers. A durable and space-saving mattress, it comes with an easy transport handle. Mickey Mouse and Winnie the Pooh has special designs for the futons in Blue and Red. Moreover, the Kiddie Sit & Sleep collection has adorable Disney designs like Cars 2 Drift, Cars 2 Japan, Mickey Mouse, Toy Story, Winnie the Pooh and World of Cars. For the young adult, the Back Relief Futon Fold-a-Mattress is made with a 3-inch Uratex Foam—stylishly portable, easy to transport and easy to use. Just open it and it turns into a comfortably soft and durable mattress available in Blue, Red, Green and Brown. Also, the adventurous shouldn’t be left behind as the Camper Mat is perfect for the camping and hunting shack, and great for the home for overnight guests or slumber parties since it is lightweight and durable. Just unroll to use or roll up and attach the strap when done. So, from the kitchen to the bedroom and beyond, and from eating to sleeping, we’ve got everything covered in gift-giving if you choose Uratex in the Year of the Black Water Dragon. No need for a lot of lucky charms, even if the coming prosperous year calls for a practical mode of spending our hard-earned money. For inquiries, call the Uratex Customer Hotline at 888-6800 or visit www.uratex.com.ph.